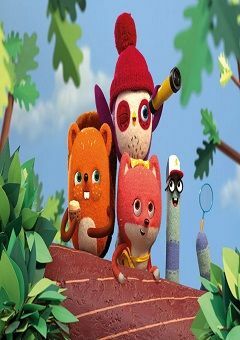 In Wagtail Woods one little bird, Becca, and her Bunch of friends, are ever ready for adventure. Becca, a happy bobble hat wearing bird sees adventure in every situation and as a result often bites off more than she can chew; landing herself and her Bunch – Russell, Sylvia and Pedro – in some sticky situations. But it’s in the midst of these ‘oops’ moments that Becca’s unique ideas, heart, positive-thinking and leadership skills really shine. And that’s when simple kid relatable challenges take a bold turn towards the best day ever. Thinking on her feet, Becca will urge a generation of kids to never give up, aim high and have big ideas. Because, once they do, like Becca, adventures just seem to happen.